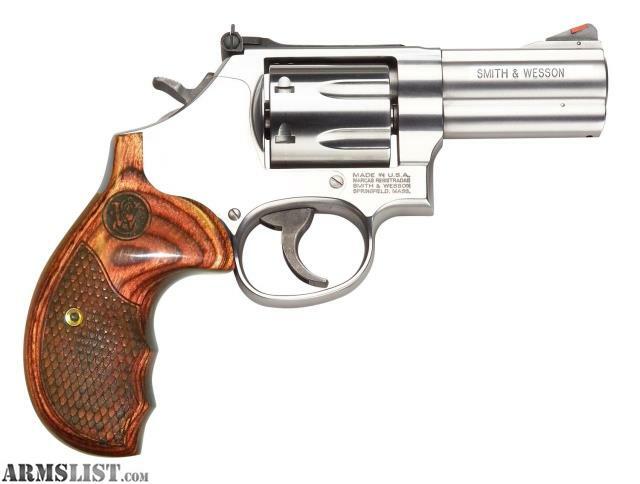 Smith and Wesson Model 686 Plus 3"
Smith & Wesson Model 686 revolver is a true workhorse for both duty and sporting use. With a major effect on both law enforcement and sporting markets the 686 has become one of the most popular revolvers ever made. This 7 round revolver comes equipped with a wood grip, stainless steel barrel, cylinder, and frame finish. This Deluxe model has a 3" barrel.